Home / Life & Culture / Life Is a Puzzle, Are You Forcing Your Pieces? When I was a kid, my parents and I spent time putting puzzles together. We would either buy or be given a box with a designated number of pieces and a picture of what the end result should look like. We would lay all the pieces out on the table, flip them right-side up, and begin to sort them. We always started with the corner pieces, the four pillars upon which the foundation of the puzzle was built. Then we would separate the edge pieces from the center ones. Slowly, we created a frame, giving us boundaries and an idea of how large our puzzle would expand. Little by little, we searched to find a home and resting place for each and every individual piece. 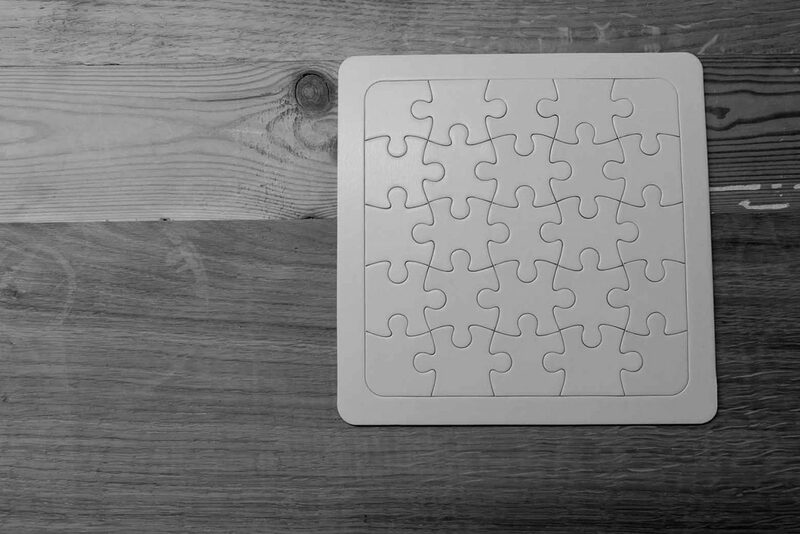 After a recent conversation, I started thinking about how putting a puzzle together was a lot like the way people fit into our lives. Sometimes the box contains pieces that are still attached. Like family; a link that never needs to be questioned. Then, piece by piece, we slowly determine the proper place for each and every individual. I realized putting a puzzle together was a lot like the way people fit into our lives. Some pieces fasten together easily, right away. We find connections based on common interests, the places we go such as school or work, the music we listen to, the books we read, and the hobbies we enjoy. We come across sections of pieces that look like they were meant to fit in one area of the puzzle, but soon realize they are deceiving in their colors. Those are made to be lessons learned and placed elsewhere. At first the puzzle is exciting because we see instant progress, but the process does gradually slow down. As we grow older, we become more selective of the time we are willing to put into creating a life that is meant to look like the picture on the box. We have an ideal timeframe of when we want to finish the puzzle, but we become impatient and frustrated when specific open spots need to be filled to feel like we’ve accomplished anything. Don’t force it… Don’t force the wrong person into the empty space in your life simply because you think they should fit there. Every encounter we have with another human being is another puzzle piece we are to place in the proper section of our bigger picture. And respectively, we are meant to be humbled and willing to be placed in the proper section of someone else’s puzzle. I am a piece of someone else’s puzzle. Maybe I’m off in the bottom left area, maybe I’m an edge piece, or maybe I’m still on the table waiting to be picked up and examined. Every encounter we have with another human being is another puzzle piece we are to place in the proper section of our bigger picture. Sometimes I might feel like I know where I should go, perhaps I know where I want to be in the puzzle, but that’s not my job. I’m meant to go wherever I’ve already been designed to be. I can’t change my shape or my color in order to fit in what I think is a more desired section. I’ve already been given a spot. And being forced into the wrong one might ruin someone else’s picture.